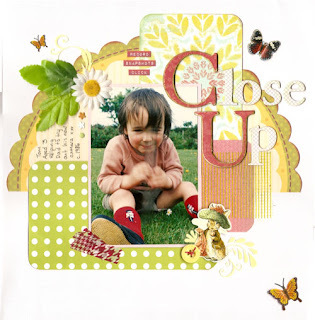 Inspired by the UKS Simple Recipe for April by Sarah of SJ Crafts - thanks Sarah! I've enjoyed this challenge so much, this is my third go! Sarah's sketch and colour combination worked really well and got me using up loads of old stash. I love this picture of Tom enjoying a day with his Dad.